At Bendix, we believe it’s important to provide quality educational material for those in the automotive trade. Take the poster below for instance. Pictured is a detailed diagram of a car’s entire braking system, showcasing each component. 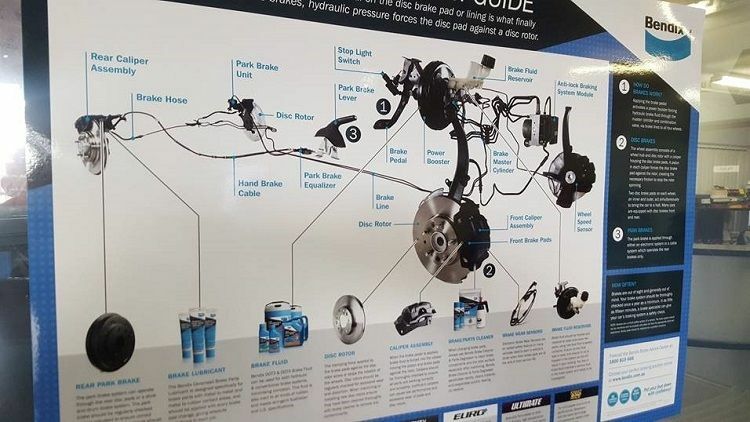 This poster was designed to give a greater understanding on how each part works together to create a car’s braking system and to do this, the diagram had to be as detailed and accurate as possible. To do this, we asked our agency for a hand and here’s the back story to end result. What’s the best way to create a diagram as accurate as possible? Not by conjuring it up from scratch on a computer, but by grabbing it straight from the source. To create the diagram, the first step was to grab every single braking component there is in a car. One trip to the wreckers later and we had everything we needed thanks to one Mazda 6 donor car. The next step was to rebuild the brake system in the same layout that it would sit inside a car. To do this, measurements were taken from the Mazda 6 were taken and a rig was made up out of wood to simulate the chassis of a car. The rig was built complete with wheels so it could be moved around with ease and painted white to make the editing component of the project just that little bit easier. With the rig built, it was time to piece the brake system back together. 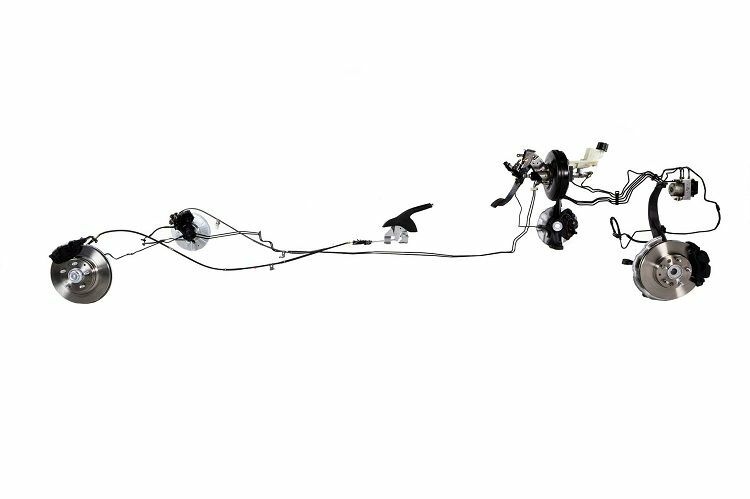 Each component had to be placed in a certain way so that the end result simulated a floating invisible car with nothing but its braking system exposed. Countless Mazda 6 diagrams were consulted to ensure that what was being built was as accurate as possible. A few hours of hammering and spannering later and we were left with this. With all the hard work done, all that was left was the photography and editing stage of the project. The rig was wheeled into and all-white studio and a number of snaps of it were taken of it all kinds of angles to showcase the braking system. Once all the photos were taken, they went straight into the editing suite for some touching up. All the white was blended together to make it seem as though the braking system is situated in mid-air and here’s the final result. 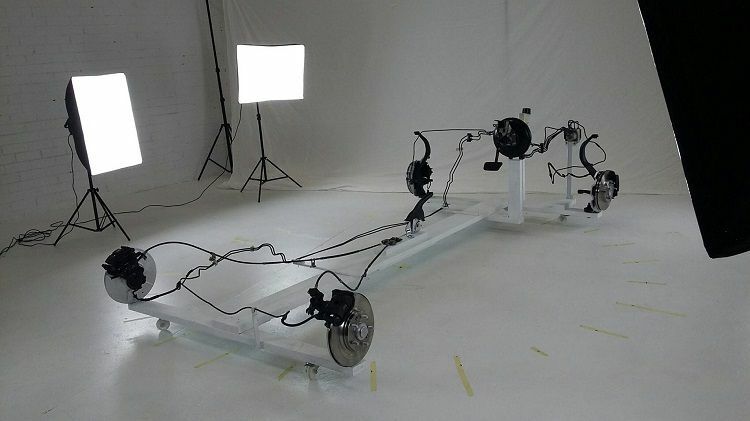 With all the photos of the complete braking system taken, all that was left was to take photos of each component close-up for use in educational content. This was a matter of photographing each component and erasing the rest of braking system around it in the editing suite. 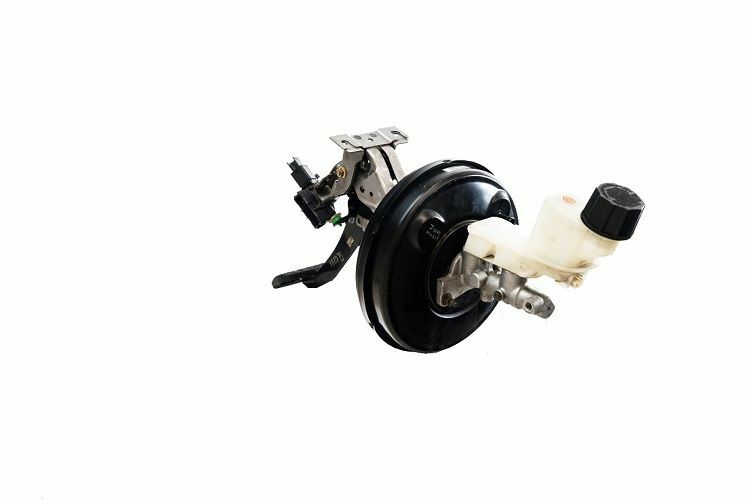 Take this brake booster, pedal and fluid reservoir for instance. And there you have it! You wouldn’t believe the amount of work that goes into something as seemingly simple as an educational poster, but the end result is worth it to provide educational material that’s as detailed and technically accurate as possible. For more information on Bendix brakes, cleaners and other ancillary solutions, click HERE. To follow us on Facebook for the latest updates and news, click HERE.